HTC has unveiled its latest smartphone which the firm hopes will take on rivals at the top end of the smartphone market. 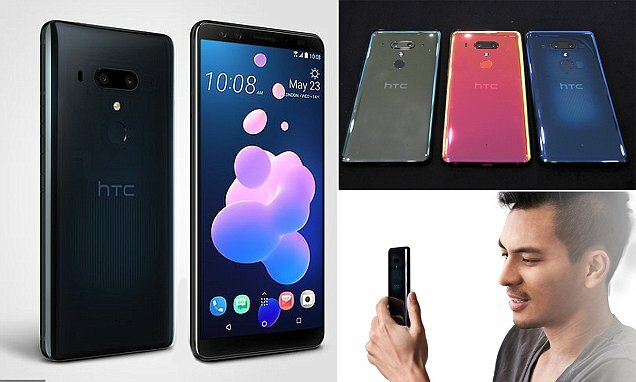 The new HTC U12+ is the first handset to feature dual cameras on both the front and back of the device, for taking the perfect selfie as well as for facial recognition. The £699 ($799) gadget also features a six-inch display and a second-generation version of the company’s Edge Sense technology. This lets users touch and squeeze the edge of the device to take photos and navigate the phone. One eye-catching version of the U12+ also features a translucent rear case, letting users see some of the phone’s internal components. It is available in the UK, US, Canada and Asia, with pre-orders starting today. Taiwanese firm HTC has struggled to keep up with market leaders Apple, Google, and Samsung in recent years and is now also under pressure from emerging Chinese manufacturers such as Huawei. Its latest phone contains the latest top-of-the-line Qualcomm Snapdragon 845 processor and run the latest version of the Android operating system – 8.0 Oreo.